This classic red rose is a beautiful way to open your love's heart! 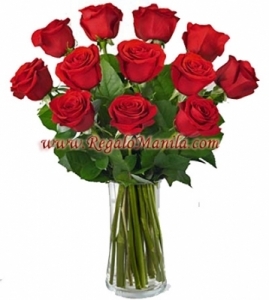 Our finest 12 red roses are perfectly accented with lush greens to create a bouquet to share your sweetest sentiments. Same day delivery is not applicable for this item. Order must be placed at least 5 days ahead of the delivery date. We cannot commit to a specific time of delivery if you complete the order same day. Please complete the order at least 3-4 days ahead of delivery date for specific time delivery. 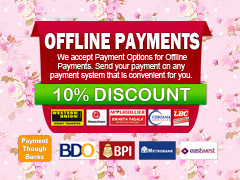 Time specific delivery is also possible to Metro Manila Delivery. Incorrect address and contact number might cause delay of the delivery. It is very important to provide the correct address (House# street name, Brgy name) and contact number of the recipient. Item will not be shipped if the address is not complete.